Android Lollipop is the latest software released by Google comes with new Material Design and much better user interface. 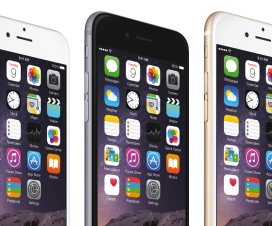 The software update brings boost in the performance of the device. This all happens because of ART (Android RunTime), which is the default runtime for Android 5.0 Lollipop. Runtime in Android devices is responsible for app execution. 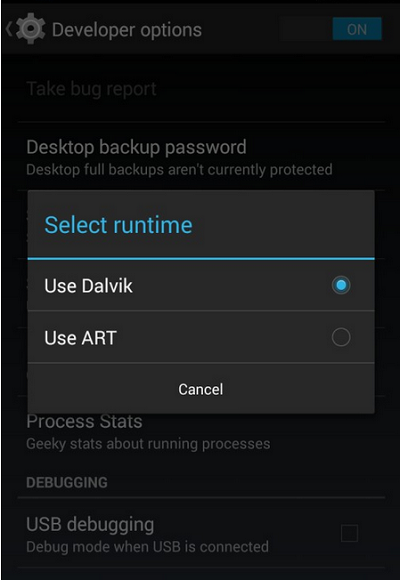 ART which stands for Android Runtime is the nest version of Dalvik. This RunTime come as default for all Android L smartphones. 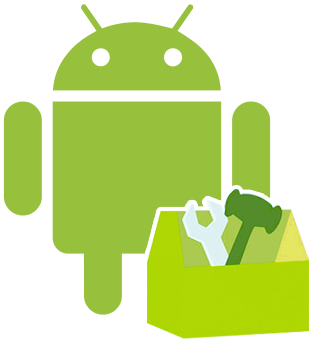 On the other hand, Dalvik is the runtime, bytecode and VM used by the Android system for running Android apps. Both ART and Dalvik differs in the way they execute the apps. Dalvik is based on JIT (just in time) complier which runs the command when it’s necessary and ART is based on AOT (ahead of time) system that sends the code in advance thereafter providing much better UI. 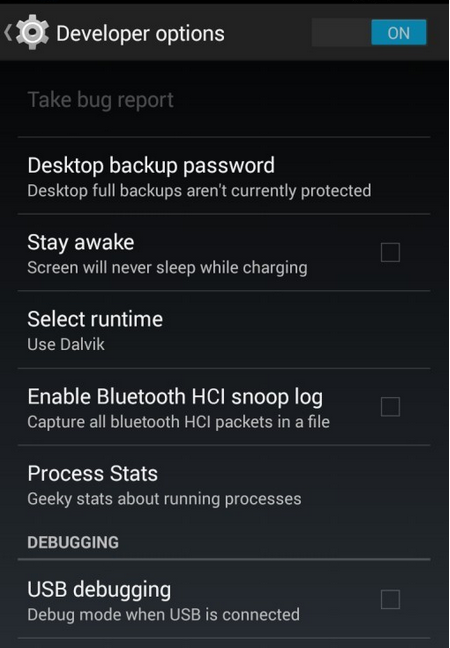 So wanted to boost your Android 4.4 KitKat smartphone, just follow the below steps to change Android Runtime from Dalvik to ART. Step 2: Tap on “About Phone”. Step 3: Enable developer options by tapping “Build Number” about 7 times. Step 4: Now head back to Settings options and find the Developer Options in the list. Step 5: Tap on it. Step 6: Now locate the “Run Time” option and tap on it. Step 7: Now here switch from Dalvik to ART and confirm it by selecting “OK”. Step 8: Once done, your device will be rebooted. 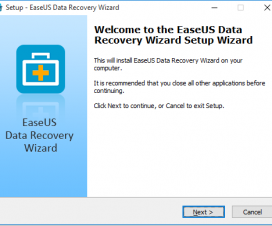 This migration will takes about 30 minutes depending upon the number of apps present on your device. On the other hand, it not only boost the device performance but also increase the battery life of the smartphone. Any queries in the above process, do lets us know in the below comment section.